Incredible photos of an incredible little miracle. We cannot be immune to how lovely nature is. They are quite amazing! Thank you, Judy. Yes, just like people, Helen. Thanks very much, Adrian. Happy New Year to you also. Nothing less than Glorious! I’ve so enjoyed each post, and interaction. Here’s to peace, love and collaboration. Thanks, Elena. Yes, here’s to peace, love and collaboration. It’s been wonderful! Karen, these are just beautiful! So delicate and perfect. Happy holidays to you and the best for 2013! To you also, Nareen. Thank you! More beautiful snowflakes 🙂 Thank-you! Best wishes for a really happy holiday Karen! Peace and happiness to you too, Karen. Your images are a constant inspiration. Much thanks, Louis! Happy New Year. I think, this is what exquisite mean ! not to melt the crystal —– what a work ! Thank you, Yoshizen. They are exquisite for sure! Gorgeous. 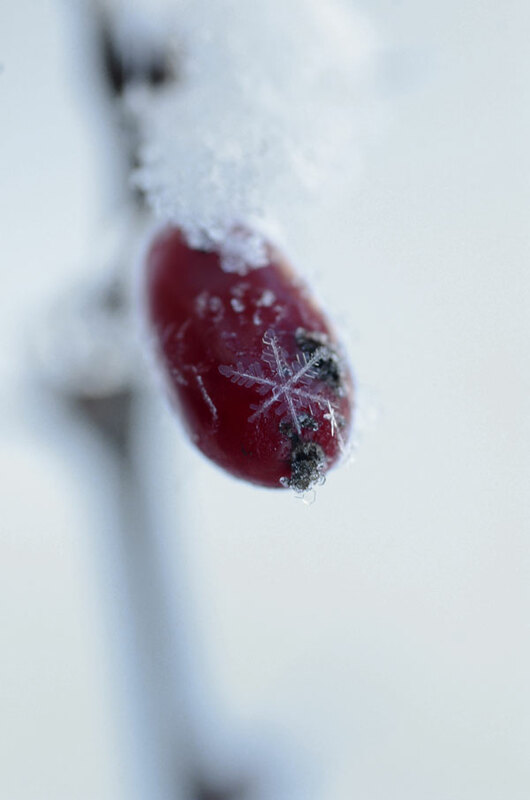 Love your macro snowflakes….perfect day to be out taking them too! Was out this morning for some camera fun! Would like to wish you and your family a fantastic and happy Christmas. Looking forward to more of your photography in the New Year! Thanks very much, Anita. I hope you had a great Christmas – Happy New Year! All we need..I have never seen a snowflake like this Karen, a beautiful Christmas treat! Have a wonderful time! Ms Macro does it again! Lovely images Karen, but I hardly need tell you that. Best wishes to you also, Greg! Thanks ever so much. Awesome stuff. Best wishes for a happy and safe holiday. The delicacy is overwhelming and so touching. Peace and love! Yes! Cheers, Chris, thank you. Lovely, tender shots – and a wonderful sentiment. Have a great holiday, Karen. You too, Richard. Thank you. So beautiful, so unique – thank you Karen – and have a lovely Christmas! Best wishes for the holidays, Lois! thank you. Wow! I’ve never seen such big and beautiful snowflakes. There were bigger ones when I was out snowshoeing the other day but I didn’t have the right lens with me! Oh well. So special…a captured marvel of our wonderful natural world…well done, Karen. Thanks, Scott. They are tiny marvels. Exquisite, Karen! Peace to you and wishes for more beautiful moments in 2013. Lovely words, Jane. Thanks very much – best wishes to you also. Hope you are having a lovely holiday, Carla! Happy New Year. Gorgeous Karen. Wishing you and your family a wonderful Christmas. Seasons cheer! Lovely Snaps! 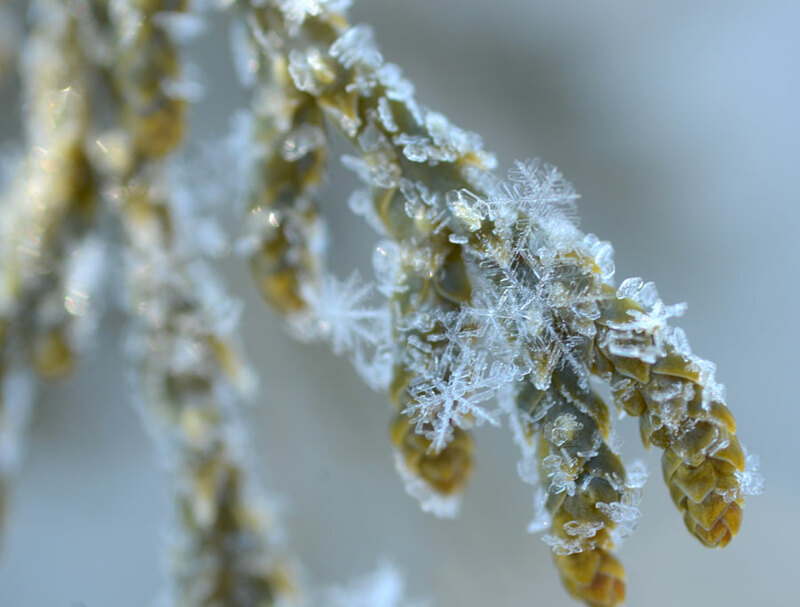 Crystal clear crystals of snow! Thanks for sharing and a very Happy Christmas. Peace and love. 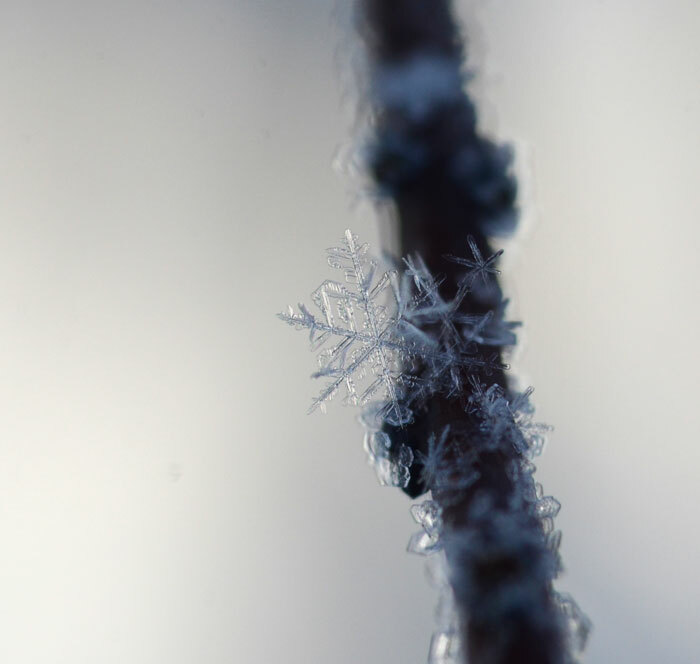 Snow is so beautiful and delicate. Thank you, Simon. Best wishes in the New Year. Oh wow – beautiful Karen! This is a beautiful Xmas sight! Merry Xmas! Wow, these are amazing! Lovely Christmas and a wonderful time with your family! To you also, Anette. Much thanks! Your stars are very beautiful, Karen. Merry Xmas! Thanks very much, Bente. Best wishes to you! so divine!!! You capture the magic of this planet in such a fine way!! Merry Christmas Karen! Thanks, Mimo. Best wishes to you for the new year. Karen, I’ve nominated you for the “Blog of the Year” Award. To see the nomination, visit the post: /anotherlovelyday.wordpress.com/2012/12/26/thank-you/. I hope you have a wonderful new year! Oh the beauty of intricate edges sharing space with soft shapes…so evocative. Merry Christmas, and what a delicate decoration with which to celebrate. Best wishes to you, Mike! Thank you. Hi Inga, thank you. I hope you and your family are well and enjoying the holidays! Thank you Gigi. They are beautiful little things, aren’t they? Yes – Pete wonders: are they snowflakes? Or frost? Snowflakes? These are all snowflakes – there is a frosted window in the next post, though. This makes me wish for some snow so that I could go out and take macros of snow flakes. Great shots! 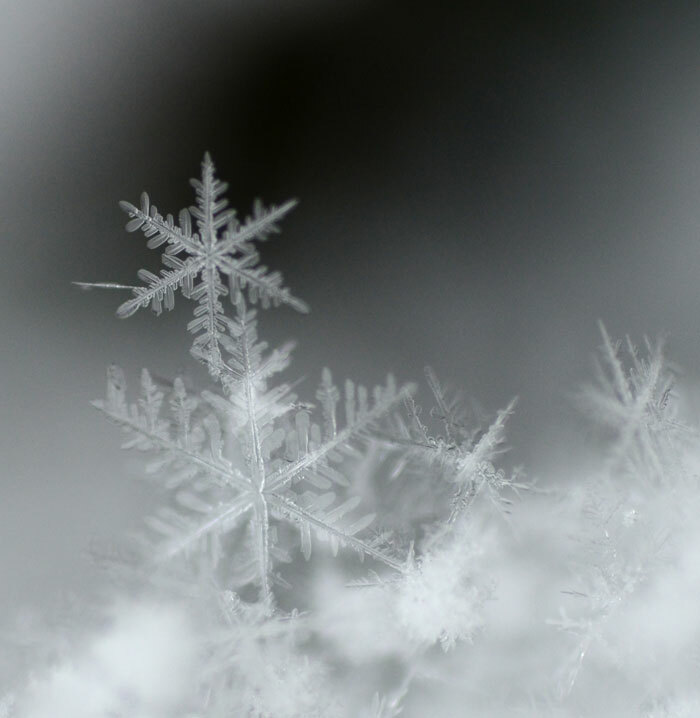 Snowflakes are amazing, it’s the most delicate and beautiful thing. You second photo is magnificent ! Wonderful captures Karen ! Thanks very much, Jocelyne! They are quite incredible, I agree. Karen, these are utterly breathtaking. Absolute treasures. Thanks so much, Lemony. You are kind!